The National Coordinator for Security and Counterterrorism protects the Netherlands from threats that could disrupt Dutch society. 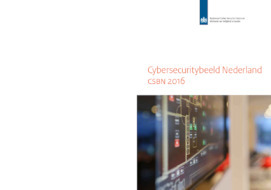 Together with the partners within the government, the research community and the private sector, the NCTV ensures that the Netherlands’ critical infrastructure is safe and remains that way. Since the establishment of the NCTV, central government has had a single organisation that deals with counterterrorism, cyber security, national security and crisis management. Together with our partners in the security sector, the NCTV is committed to making the Netherlands a safe and stable place. The focus is on preventing and minimising social disruption.